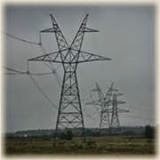 If you missed hearing Gidon Eshel presenting his analysis of the need for transmission upgrades--i.e., monster power lines--through the Hudson Valley, you have another chance to hear the presentation tomorrow, Saturday, November 1. 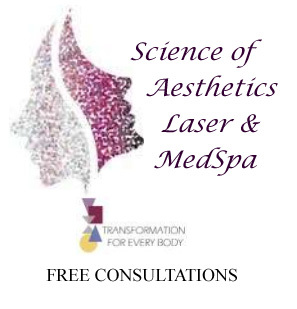 Tomorrow's meeting begins at 2 p.m. at the Bertelsmann Campus Center at Bard College. 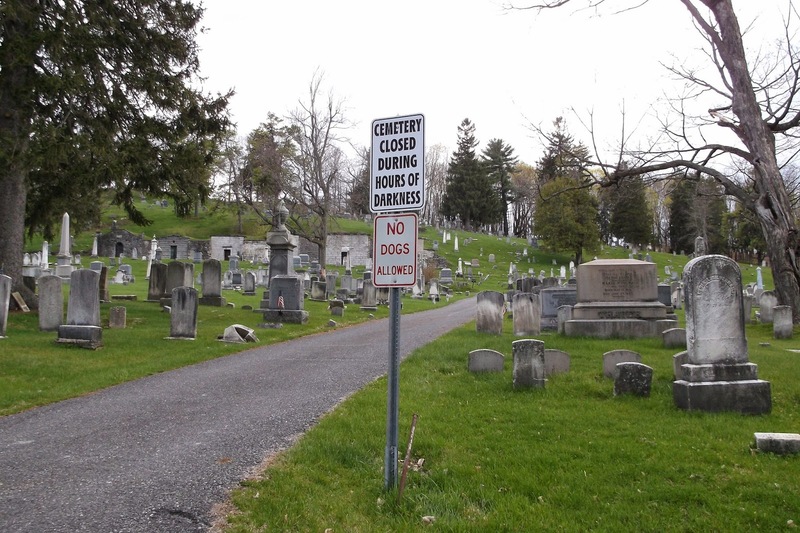 An hour or so ago, the Register-Star reported the news: "Hudson mayor rescinds cemetery dog ban." Of course, there never was a ban on dogs in the cemetery until the mayor unearthed an obscure booklet of cemetery rules and regulations to justify moving the five "No Dogs Allowed" signs he had erroneously ordered DPW to install in Seventh Street Park to the cemetery back in May, but dog owners will rejoice anyway. 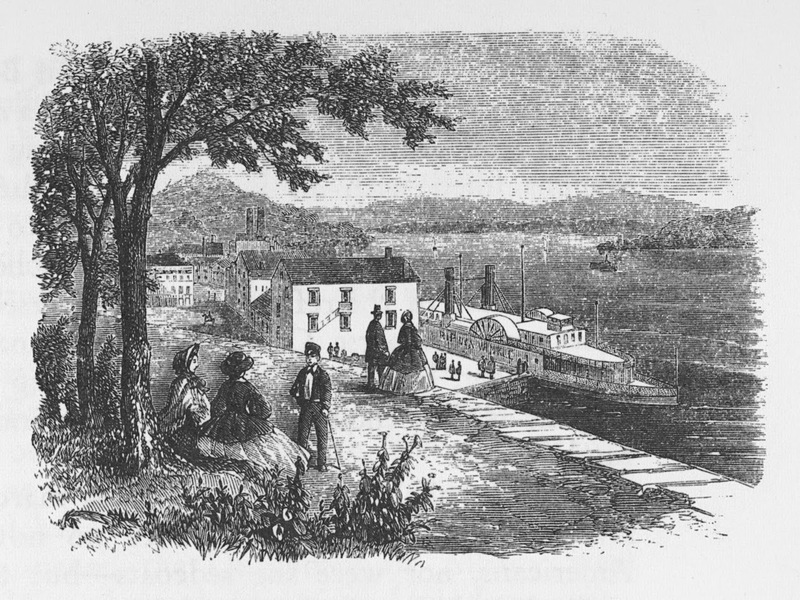 Gossips' interest in Dr. John C. DuBois began with discovering that he had visited Abraham Lincoln at his home in Springfield just a month before the election of 1860. In 1883, DuBois traveled abroad with William H. Traver and Prof. T. E. Combs--a journey that seems to have been carefully monitored by the press back here in Hudson. When he visited Lincoln, DuBois was a young doctor, 28 years old, just returned to the United States after two and a half years of studying medicine in Europe. Fifteen years later, according to the 1875 New York State Census, DuBois had a wife named Evelina and three children: Julian, 5; Rachel, 3; and Florence, 5 months. 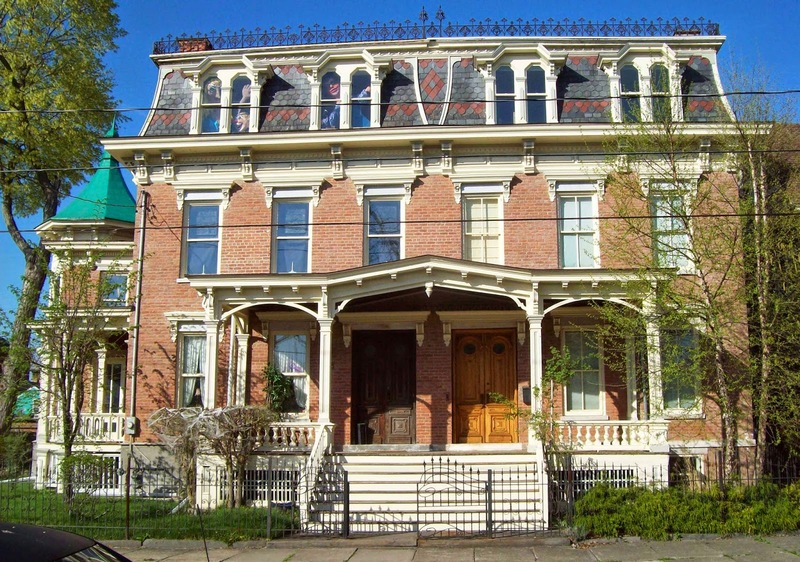 The family lived on Allen Street, in the house that is now No. 203, with two servants and a young woman identified as a cousin. 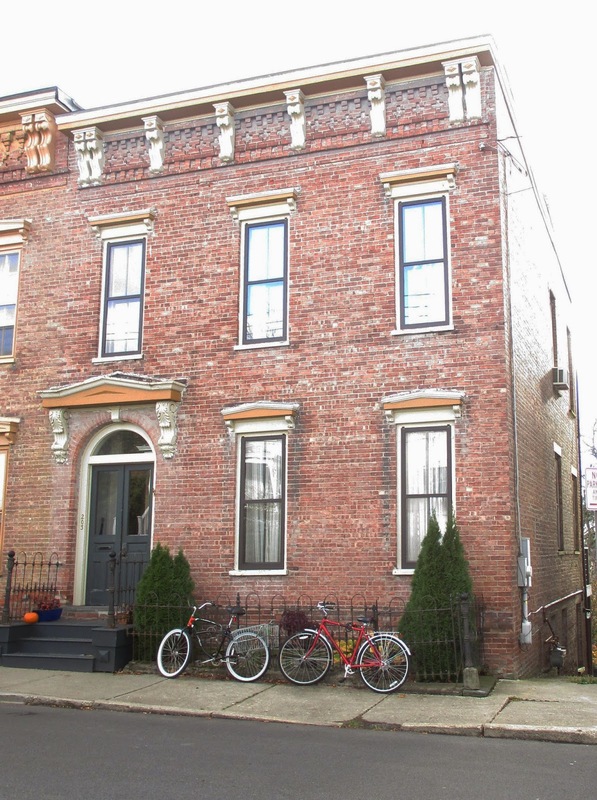 By 1880, according to the decennial U.S. Census, Dr. John C. DuBois and his family, now including a fourth child, two-year-old Gertrude, had moved upstreet to the more fashionable 300 block of Allen Street and had taken up residence in the house where he and Evelina would live for the rest of their lives: 318 Allen Street. In 1881, John and Evelina's fifth child was born. He was named Coert, his father's middle name. Of the five children, Coert seems to have had the most illustrious life but also the most tragic. Coert DuBois graduated from Hudson High School and went on to study at the Biltmore Forest School, the first school of forestry in North America. The school was founded in 1898 by Carl Schenck on George W. Vanderbilt's Biltmore Estate in North Carolina. Coert DuBois, who probably graduated from Hudson High School in 1899, would have been one of the school's earliest students. He was certainly one of its few students. When Vanderbilt fell on hard times in 1909, he fired Schenck, and the Biltmore School of Forestry ceased to exist. The man who had preceded Schenck as manager of Vanderbilt's forest, designed and created by Frederick Law Olmsted, was Gifford Pinchot, who in 1895 became the first Chief of the U.S. Forest Service. Coert DuBois followed Pinchot's path. When he finished his study at the Biltmore Forest School, he joined the U.S. Forest Service and went to work first in Washington, D.C., and then in California. 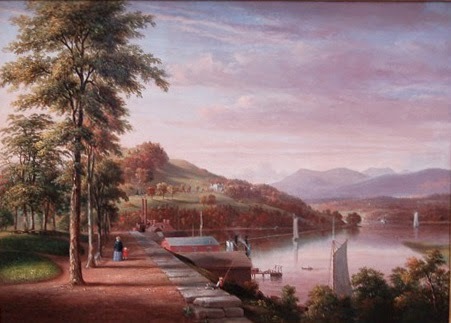 Coert DuBois kept his connections to Hudson and the East Coast. Throughout the first decade of the 1900, "About the Folks: Short Items Concerning People Who Come and Go" in the Columbia Republican and "Personal Notes and Jottings" the Hudson Register regularly contained news of Coert DuBois' visits home. 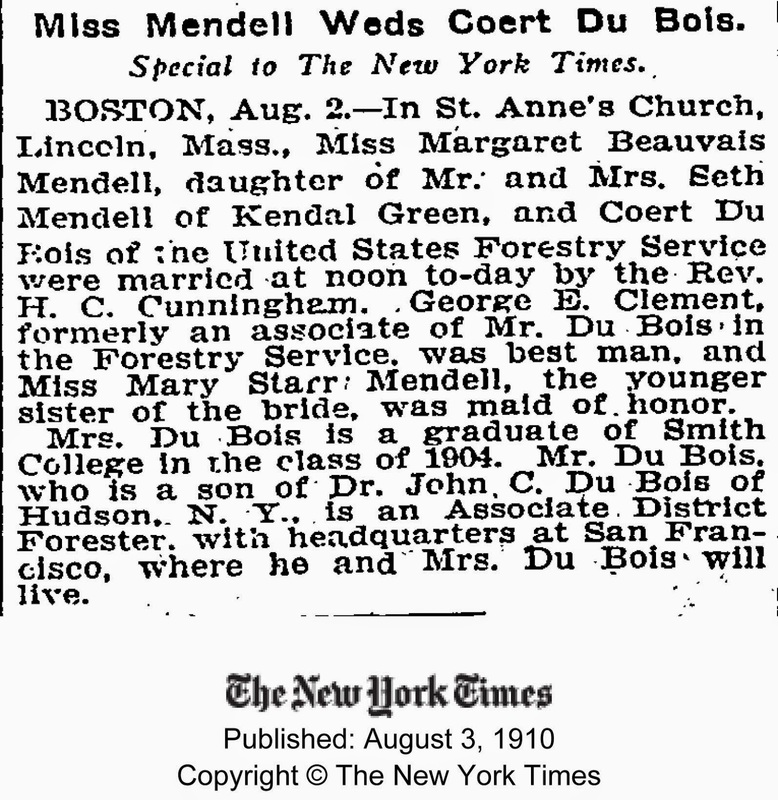 In August 1910, Coert DuBois married Margaret Beauvais Mendell from Kendal Green, Massachusetts. Their marriage was reported in the New York Times. Upminster, Essex, Eng., Feb. 21 (AP)--Jane and Elizabeth DuBois, daughters of the American consul-general at Naples, were killed today in a mysterious fall from an airplane bound for Paris. The girls, both less than 24 years old, plunged into a field just outside the town, from a height of about 1,500 feet. 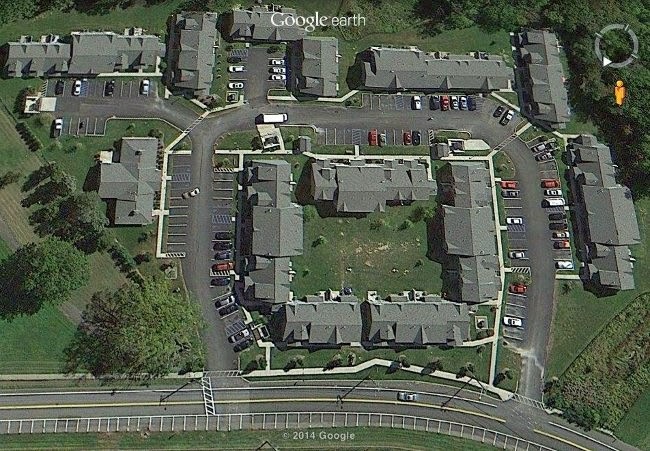 A witness said they were "clasped hand-in-hand" in a last embrace as they hurled through the air. 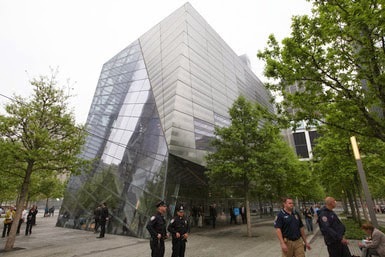 Their father is Coert DuBois, 54 years old, native of Hudson, N. Y., but with a legal residence at San Francisco. 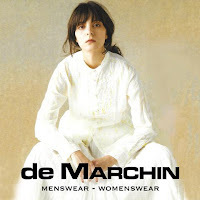 His wife is the former Margaret Mendell of Boston, they were married in 1910. The girls killed today were their only children. The girls were the only passengers in the plane and the pilot did not know of their disappearance until sometime later when he turned around and saw their seats vacant and the door ajar. He returned to Stapleford aerodrome and reported to police. Friends of the girls said they started on their last flight heartbroken over the recent crash deaths of two men of the Royal Flying Corps. Air line officials said two letters were found on the airplane--addressed to the girls' father. Jane DuBois was 20 and Elizabeth 23. Coert DuBois has been American consul general at Naples since 1931. Before he entered the diplomatic service he was in California as district forester of the United States Forest Service from 1911 to 1917. He had served in Washington, Paris, Port Said, Batavia, in India, and at Naples. 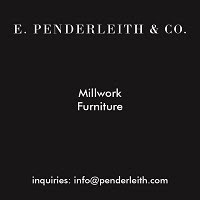 He was a major and a lieutenant colonel of engineers in the World War, and for a time was in the 10th Engineers in France. Three days later, after an inquest had been held, this Associated Press report appeared in the Kingston Daily Freeman. 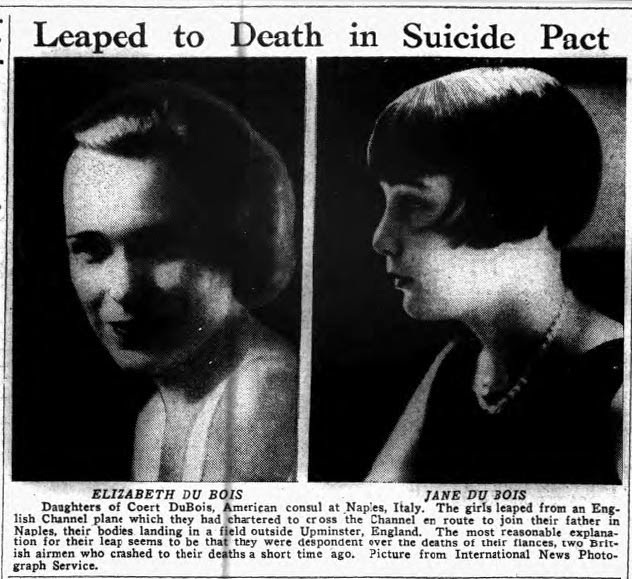 Romford, Eng., Feb. 25 (AP)--Elizabeth and Jane DuBois, who plunged from an airplane to death last week, visualized their suicides as a "pretty straight" corridor to the dead men they loved. Coroner's jury today returned a verdict of "suicide while of unsound minds" after it had heard the contents of the two letters which the girls had intended only for their father, Coert DuBois, United States consul general in Naples, and their mother. The father, tight-lipped and white-knuckled, attended the inquest. The mother stayed alone at a hotel, still unaware of the complete details of her daughters' plunge from a commercial transport ship. In their letters, the two beautiful American girls told of their grief for the deaths of Flying Officer John A. C. Forbes and Flight Lieutenant Henry L. Beatty, who were killed at Messina, Sicily, two weeks ago when their Royal Air Force flying boat, "Ace of Diamonds," crashed into a hillside. One of the notes said that Flying Officer Forbes, engaged to another girl, was going to break off his engagement in order to marry Jane. The coroner said he only did his duty in reading the letters as without them it would have been difficult for the jury to arrive at a proper verdict. "In time to come," he said, "I am sure the father will realize that reading these letters was the only course to be taken in the circumstances." The content of the letters was included in the AP article, so not only the jury but everyone following the story in the newspapers could know the parting thoughts Elizabeth and Jane shared with their parents. Gossips discovered news of Coert DuBois twice again in local papers. On March 10, 1942, the Hudson Evening Register reported that President Franklin Roosevelt had appointed Coert DuBois, "formerly a resident of this city," to the Anglo-American Caribbean Commission, a commission created to "encourage and strengthen social and economic cooperation between the American and British outposts in the Caribbean." At that time, DuBois was working for the Department of State as chief of the Caribbean office. On January 17, 1944, the Evening Register published a letter DuBois had received from President Roosevelt, praising him for his part in organizing the West Indian Schooner Pool. The letter read in part: "Charles Lansing, the U.S. chairman of the Anglo-American Commission, tells me that it is largely through your organizing ability and pertinacity that the valuable adjunct to merchant shipping in the Caribbean Sea was developed." The Register prefaces the letter in this way: "Friends of Coert DuBois, of Washington, D.C., son of the late Dr. and Mrs. John C. DuBois, of this city, who spent his boyhood here, where he has many friends, will be interested in the following, which he received recently from President Roosevelt." Alternate Side of the Street Parking Remember to park your car on the odd side of the street tonight (Friday) and on the even side of the street tomorrow night (Saturday). Standard Time Remember to set your clocks back one hour before you go to sleep on Saturday night. 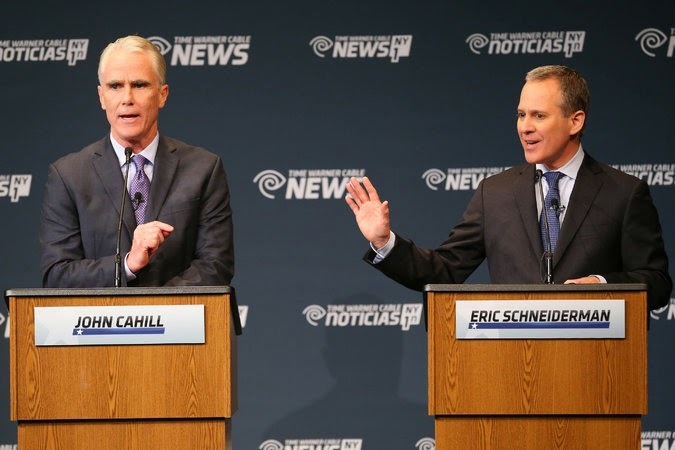 The New York Times reports on last night's debate between Democratic incumbent Eric Schneiderman and Republican challenger John Cahill: "In New York Attorney General Debate, Cahill and Schneiderman Clash Over Ethics and Integrity." Keeping a critical eye on Columbia Economic Development Corporation and its enabling role in the Ginsberg's expansion, Sam Pratt reports on the CEDC meeting that took place earlier this week: "Local lawyer tells a whopper." An audio recording of the entire meeting can be heard at the Register-Star website. Last Friday, Gossips reported the results of the Seventh Street Park Survey. 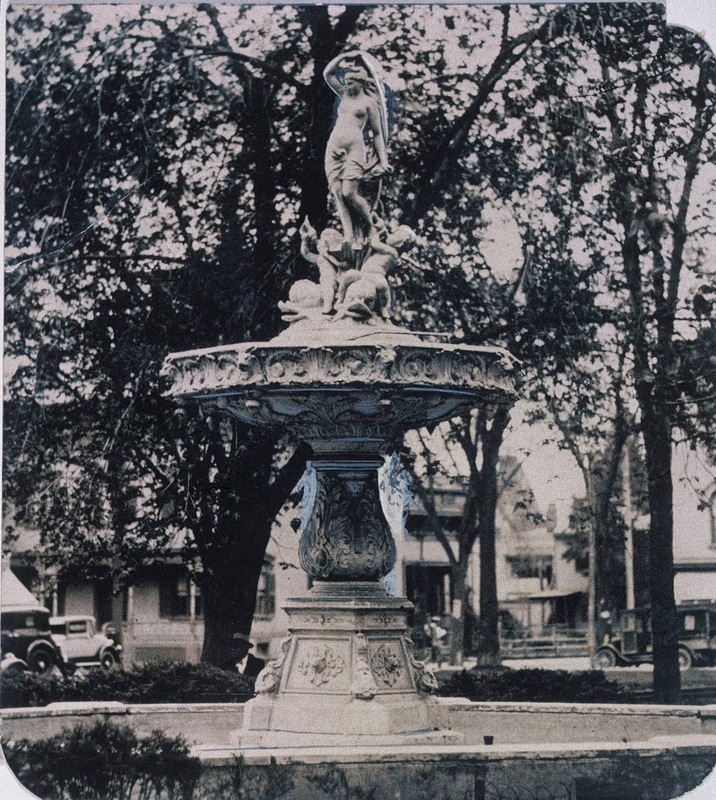 Today, the Register-Star reports the same information: "Survey: Restored fountain tops 7th St. Park wish list." John Mason's article, however, includes something more: an account of the meeting at which Sheena Salvino presented the results to the HCDPA board. It seems the mayor doubts the reliability of the data because a link to the online survey had been provided on The Gossips of Rivertown. "There could be influence here," the mayor is quoted as saying. 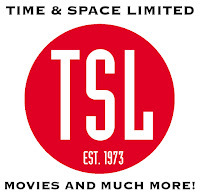 "A survey is a funny thing, if it's not done while you're sitting with someone. 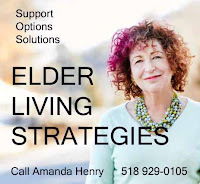 You mention Gossips of Rivertown who is preaching (to a readership) who believe in the same things its creator believes in, while there are many people who don't believe in the same things." He went on to tell Salvina and Branda Maholtz, "I'm not faulting you. 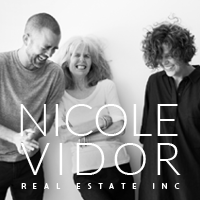 I'm just trying to figure out why this passion with historic significance." The Times Union reports that the Federal Communication Commission decided against adopting a rule that would give automatic approval to the expansion of cell towers: "FCC backs scenic vistas." 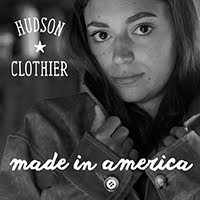 Yesterday, Andi Weiss Bartczak, political chair for the Mid-Hudson Group, announced the Sierra Club's endorsements of candidates running for office in the Hudson Valley. 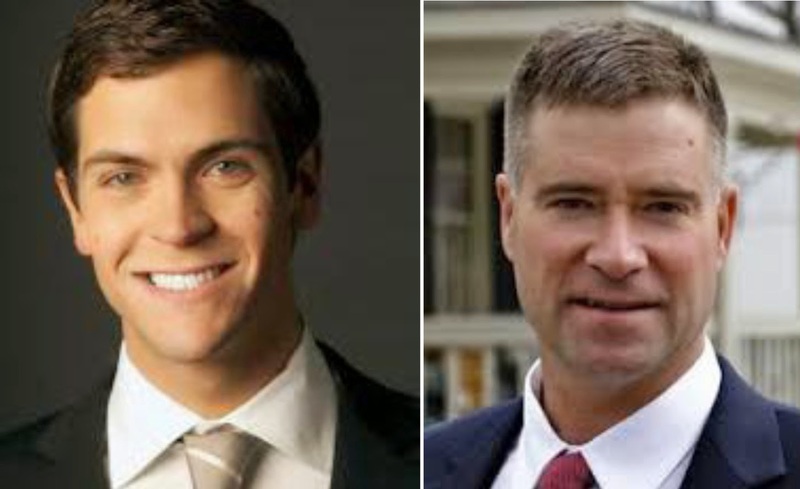 The endorsed candidates that will appear on our ballot here in Hudson are Didi Barrett, running for re-election in the 106th Assembly District, and Sean Eldridge, running in the 19th Congressional District. The other candidates endorsed by the Sierra Club are Kevin Cahill, 103rd Assembly District; Frank Skartados, 104th Assembly District; and Terry Gipson, 41st Senate District. 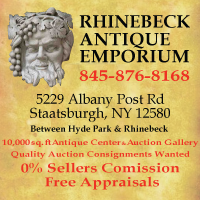 A study was released this month called The Economic Importance of the Great Estates Historic Sites & Parks. 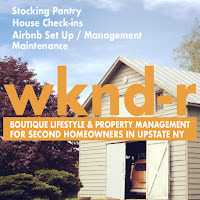 It was done by the consulting firm Urbanomics, Inc., working with the Taconic Division of the New York State Office of Parks, Recreation & Historic Preservation. 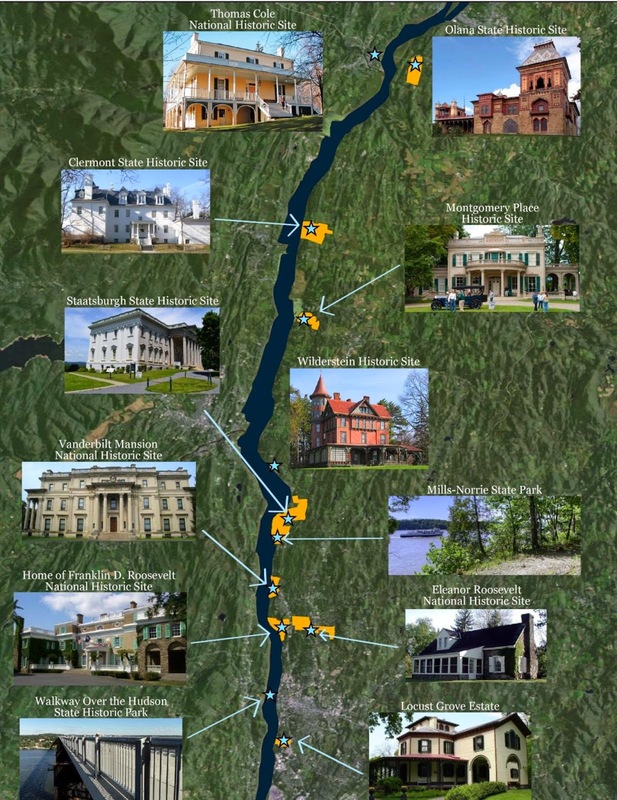 Twelve sites were included in the study: five--Mills Norrie State Park, Staatsburgh State Historic Site (Mills Mansion), Wilderstein, Montgomery Place, and Clermont--located within the Hudson River Historic District; five--Locust Grove, Walkway Over the Hudson, the Home of Franklin Delano Roosevelt, Val-Kill, and the Vanderbilt Mansion--located south of the Hudson River Historic District; and two--Olana and the Thomas Cole House--located north of the historic district. 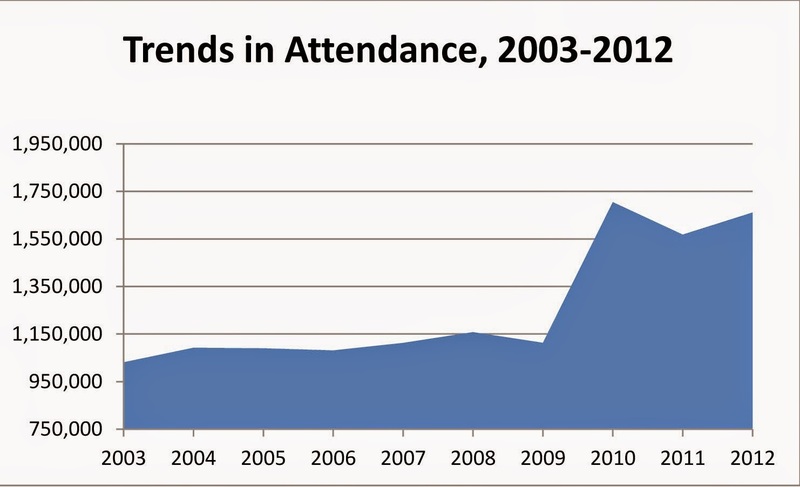 Comparing attendance at the sites over a ten-year period, the study shows a dramatic increase from 2009 to 2010--an increase that continues. 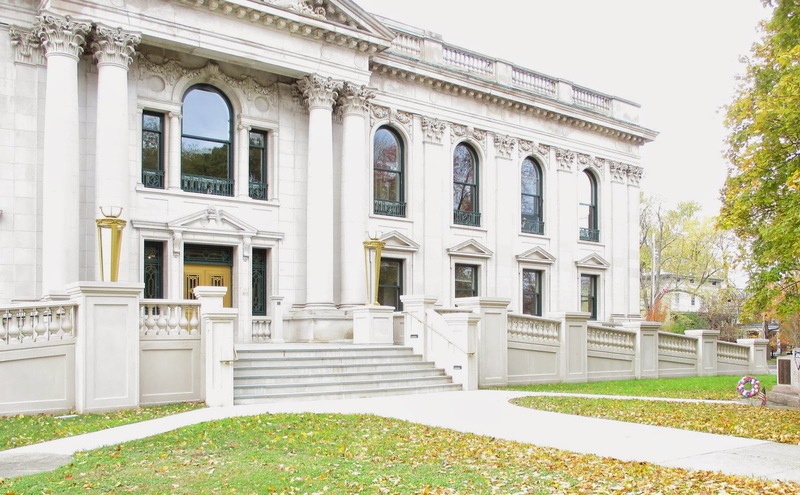 Collectively, the four measurable economic benefits of the twelve Great Estates and their support groups amounted to $65 million positive effect on the local economy. This, in turn, generated roughly a $2 million increase in local sales tax revenues. You can review the entire study here. 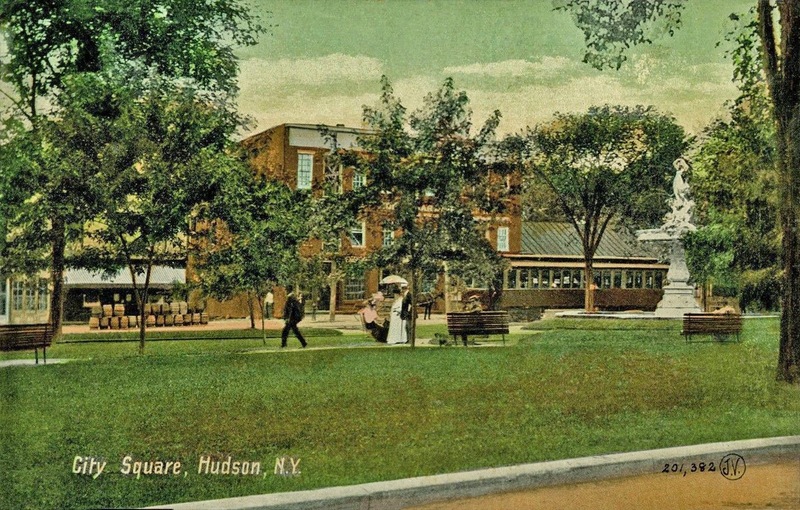 Hudson has had its share of notable architects who have designed buildings in the city--among them, Alexander Jackson Davis, who refitted and expanded Dr. Oliver Bronson's house and also John Gaul's house; Marcus Reynolds, who designed a mansion for Morgan Jones, inspired by Dutch and Jacobean buildings that struck his client's fancy while traveling in Europe; Whitney Warren and Charles Wetmore, who took time out from working on Grand Central Station to design a new courthouse for Columbia County and later designed a new building for the Hudson City Savings Institution; R. H. Shreve and William Lamb, who designed a new building for Farmers National Bank the year before they began their most famous project: the Empire State Building; Edgar Tafel, a disciple of Frank Lloyd Wright, who designed the rectory and offices for Christ Church Episcopal. 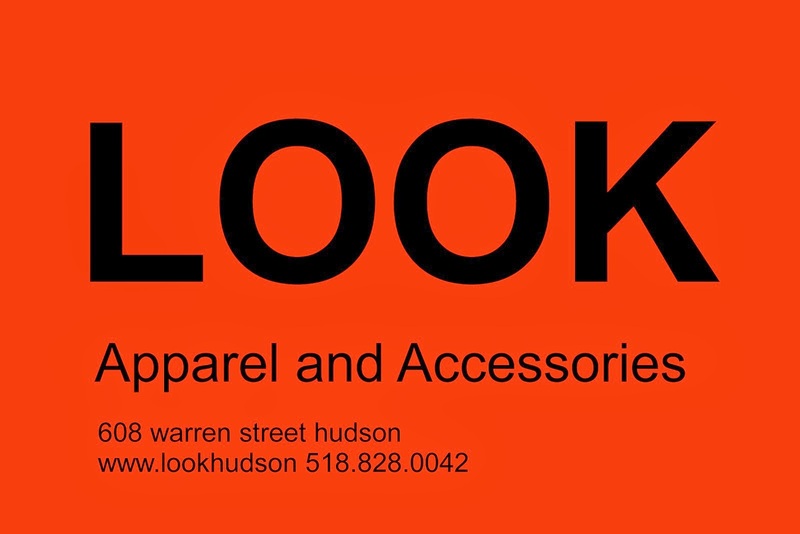 Now another noteworthy architect is working in Hudson, on what may seem to be an unlikely project: the adaptive reuse of 701 Union Street as the police and city court building. The architect working on the police and court building is Richard Franklin, principal of Franklin Associates, Architects/Planners, who was awarded the project, as city regulations require, because he submitted the lowest bid. Franklin was the first African American to graduate from the School of Architecture at Washington University in St. Louis. 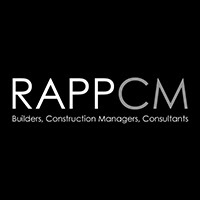 Before forming his own architectural firm in 2011, he was an associate partner with Davis Brody Bond, where he was involved in such high profile projects as the restoration of the Apollo Theater in Harlem, the construction phase of the 9/11 Memorial Museum, and the design for the Smithsonian Museum of African American History and Culture. Two weeks ago, Alderman Nick Haddad (First Ward), who is the point man on the Council for the police and court project, told Gossips that the final design for the new facade of 701 Union Street, which is different from the preliminary drawing done by John O'Connell, is now getting some fine tuning. He expects that a "final iteration" will soon be ready for display at City Hall. Haddad also indicated that the design will be submitted for review by the Historic Preservation Commission. At the informal Common Council meeting on October 14, Haddad reported that the architect is preparing the bid documents for the project and bids are expected to be in before the new year. The projected completion date for the new police and court building is September 2015. Tomorrow morning--Wednesday, October 29--on @Issue on WGXC, Victor Mendolia and Debora Gilbert will interview Assemblymember Didi Barrett and Green Party gubernatorial candidate Howie Hawkins. 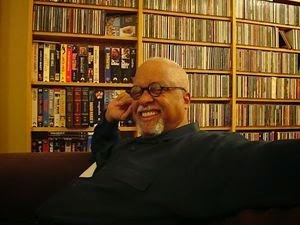 The show begins at 10 a.m. and can be heard at 90.7 FM or online at wgxc.org. 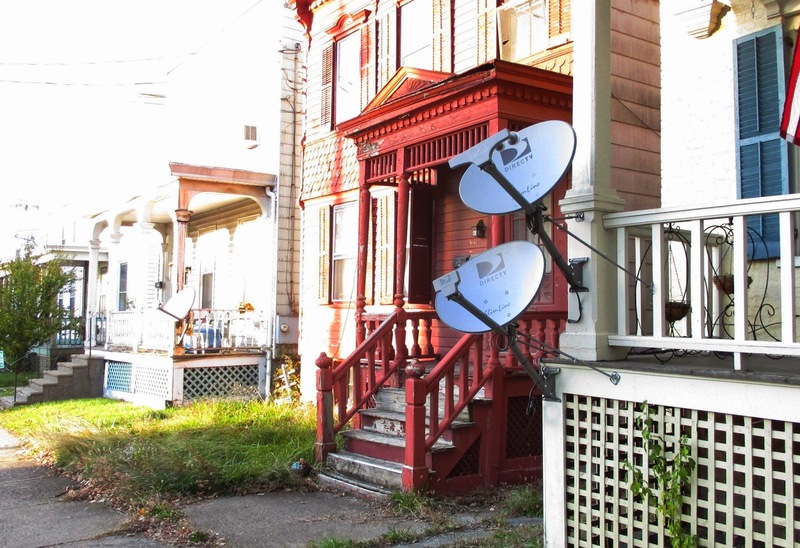 Last week, three Direct TV satellite dishes were installed on two houses in the 500 block of Union Street--one on one house, two on the other. They were installed on the porches, at the level of the porch railings. Absolutely no effort was made to conceal them from view. The installer didn't even have to climb a ladder. 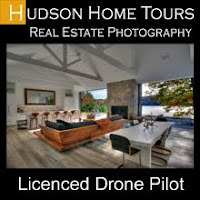 A certificate of appropriateness is required to carry out any exterior alteration, additions, restoration, reconstruction, or moving of a landmark or property within an historic district, or to make any material change in the appearance of such a property or its windows, or to install or move a satellite dish. There is no way a certificate of appropriateness was granted to the placement of these satellite dishes. This is not the first time satellite dishes have been installed without a certificate of appropriateness, but it is certainly the most offensive example. 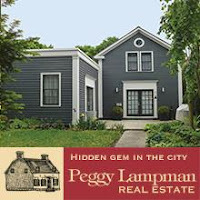 Perhaps it's time for the code enforcement office to send a copy of the map of the historic districts in Hudson and notify the companies that install satellite dishes that they are in violation of city code if a dish is installed in a historic district without a certificate of appropriateness. In the aftermath of some destructive rowdiness outside Wunderbar in September, the Common Council began mulling the question of how to deal with late night disorderly, often dangerous and destructive conduct near and presumably emanating from particular bars in the city. On Monday night, police commissioner Gary Graziano and HPD chief Ed Moore were at the Police Committee meeting, armed with information and statistics that had been requested by the Council. Graziano had been asked how much it would cost the City to have two more officers on duty from midnight to 5 a.m. on Friday and Saturday nights. 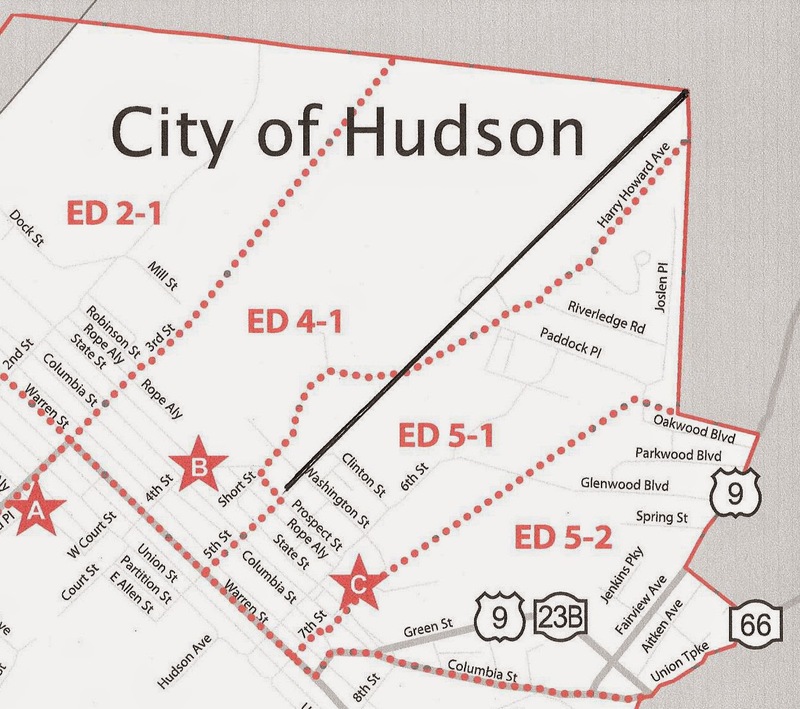 (Currently, there are only three officers on duty through the night in Hudson.) His answer was $48,880--$47 an hour (the officers would have to be paid overtime) x 5 hours a night x 2 nights a week x 2 officers x 52 weeks a year. Moore offered statistics about the number of times the police were called to three bars--before and after 2 a.m. The statistics cover the first ten months of 2014, from January 1 through October 26. Moore also reported, based on police records, that "large disturbances seem to happen more after 2 a.m." and "stabbings, shootings, and fights seem to happen after 2 a.m."
Barbara Walthour, owner of the Savoia, objected to Moore's numbers, saying he was claiming there were 12 more calls to the Savoia than there were when the police chief reviewed the numbers with her previously. Moore explained that conversation took place in July, and there had been 12 calls to the Savoia since July. Walthour tried to dismiss the evidence, saying the police had been summoned by "the lady at the corner who calls all the time." Later, a man who had accompanied Walthour to the Police Committee meeting insisted, "The same person who doesn't want the Savoia to be there is making the calls to the police." Walthour's companion at the meeting, identified in the Register-Star as James Rose, described a pattern of late night behavior. "The crowd from Wunderbar [which closes at 2 a.m.] come to the Savoia looking for food." 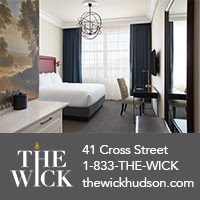 Whereas the restaurants in Hudson typically close their kitchens and stop serving food at 9:30 or 10 p.m., the Savoia doesn't start serving chicken wings and other bar food until 11 p.m. Chief Moore talked about "travel points": "If one place closes at 2 a.m. and another stays open, [between those two points] is where things get broken." He cited planters, flowerpots, and car windows. He also talked about "loud gatherings, assaults, and fights . . . happening outside the bars." Walthour countered by saying, "I can't do anything more than I've already done. . . . What happens happens after they leave my establishment." Mayor William Hallenbeck corroborated Walthour's claim: "The Walthours have always been cognizant of the need to run a safe establishment." In contrast, Council president Don Moore told Walthour toward the end of the meeting, sarcastically and with a hint of frustration, "You've done a very good job of explaining why none of this is your responsibility." 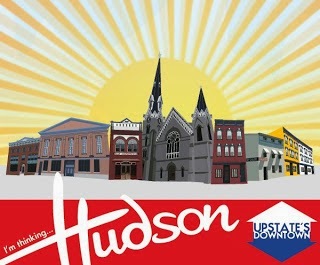 Alderman John Friedman (Third Ward) made the point that Hudson's main economic engine is now tourism. "We cannot have shootings in the street, and we can't have people fighting in the streets." Friedman's comments reinforced those made by Bob Rasner, the proprietor of a bed and breakfast on the 200 block of Union Street, who told how he had reassured guests on Friday when they checked in that it was safe to walk on Warren Street at night only to have them read the next day that overnight there had been a shooting only a couple of blocks away. It was revealed that the victim of the shooting early Saturday morning reportedly told police he had been drinking at the Savoia, and there is allegedly evidence that he had been at Wunderbar earlier that night, but Alderman David Marston (First Ward), chair of the Police Committee, cautioned, "It is not a productive path to connect shootings and the bars." Later, Rasner told of his experience in two other communities where, he reported, "business went away overnight when someone was shot." When he called the current situation in Hudson "a ticking time bomb," Hallenbeck cut him off. "You're making it sound like you can't walk on the street," Hallenbeck protested. He spoke of reforms made in the police department during his administration and told Rasner that, although he often agreed with him, in this instance, he rejected what he was saying. On the topic of police reform and crime, Chief Moore reported that a comparison of crime statistics for 2013 and 2014 shows that the number of crimes is trending downward, but he also noted that the severity of crime is escalating and suggested that there is a correlation between late night drinking and the severity of crime. No decision has yet been made about imposing a 2 a.m. closing on all bars in Hudson. Marston noted that only 36 percent of the police calls to bars occurred after 2 a.m. He also asked rhetorically, "Do two bars warrant a change that affects all bars?" 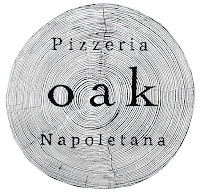 Alana Hauptmann, proprietor of the Red Dot, pointed out that there had been no police calls to the Red Dot in 2014, and, in the fifteen years the bar and restaurant has existed, "it's rare that we ever had to call the police." She argued that it was unfair to require all bars to close at 2 a.m. when only two bars were problematic. "We don't stay open until 4 a.m. every night," said Hauptmann, "but when we do, that's when we make money." Tony Stone, co-owner of Basilica Hudson, suggested that having all the bars close at 2 a.m. might bring new problems. "If all the bars closed at the same time," he mused, "it might be more dangerous if a hundred intoxicated people were on the streets at the same time." Chief Moore noted that bar owners in Hudson used to have an association to discuss problems and brainstorm solutions, implying that such an organization might be useful again. 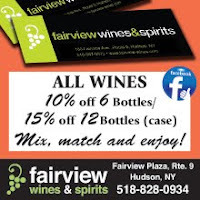 In answer to a question from Alderman Ohrine Stewart (Fourth Ward), Moore confirmed that the police department had filed a report about the Savoia with the New York State Liquor Authority and were awaiting a response. This topic was introduced in a comment, but it is important enough to have its own post. We are all familiar with the replica Half Moon. 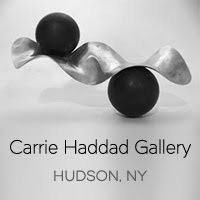 It docked here for four days in 2009 as the centerpiece of Hudson's celebration of the Quadricentennial, marking the 400th anniversary of Henry Hudson's discovery of the river that bears his name. While reminding us of the past, this great Quadricentennial can give us glimpses into the future and point to creative new windows of opportunity. For instance, just imagine that instead of being here for only a few days, the Half Moon had good reason to spend more time here--coming and going, as if from a home port. 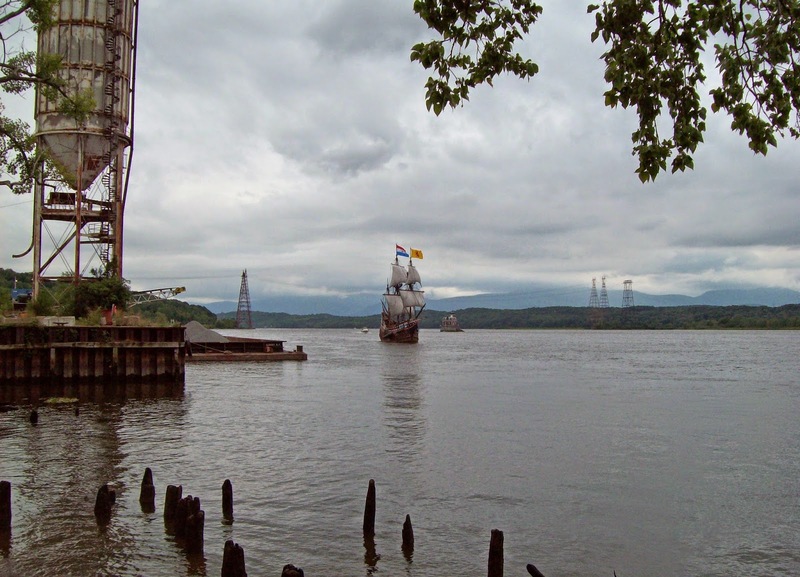 Imagine one of the three slips on the Henry Hudson Park grounds being re-engineered to comfortably accommodate historic vessels like the Half Moon. 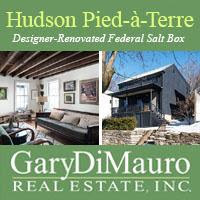 Imagine the old brick warehouse building there just across Water Street, as the Henry Hudson Maritime Museum, a perfect land-based complement to the floating museum that is the Half Moon. 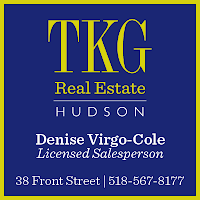 And finally, imagine what something like this could mean for Hudson and its waterfront: a powerful new magnet for tourism, education, recreation, investment, commerce and quality of life. Just an idea, born of the river . . . that always has been, and always will be . . . a key to our future. This vision for the waterfront was recalled a year later by several speakers at the public hearing on the draft LWRP (Local Waterfront Revitalization Program) and draft GEIS (Generic Environmental Impact Statement). Since then, though, the hope has been kept alive only in the hearts of a few. 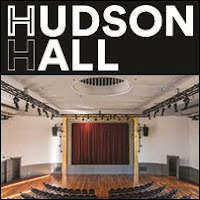 In April, the hope that Hudson might become the home port for the Half Moon seemed dashed when Jennifer Schwartz Berky, the conservation architect and urban planner who was working with Damara Stolfo and Sarah Dibben on the Hudson Praxis project, stated matter-of-factly, in an interview with Ellen Thurston on WGXC's Thursday Afternoon Show, that Troy was going to be the Half Moon's home port. That turned out to be something of an overstatement, but now the news is worse. On October 9, the Times Union reported that the Half Moon may leave New York and indeed the New World: "Half Moon replica may have to leave New York." Captain of the Half Moon, William "Chip" Reynolds is quoted in the article as saying, "In spite of many efforts, we haven't had any serious response by any entities to recognize that we need a permanent facility." 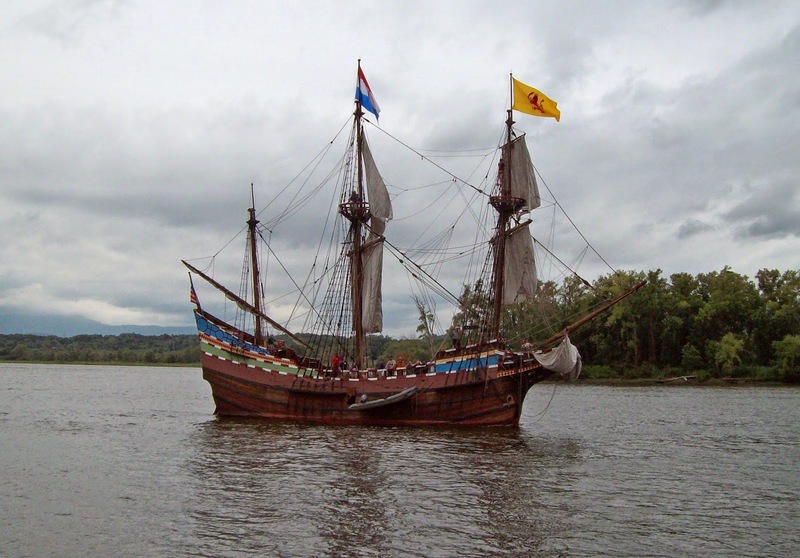 As a consequence, the Half Moon's home port could end up being in the Netherlands. 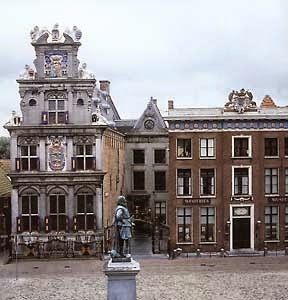 The director of the Westfries Museum, in Hoorn, a city north of Amsterdam, wants to buy the Half Moon and relocate it there. Officials in Hoorn are expected to vote on a proposal to acquire the Half Moon before the year is out. Meanwhile, Reynolds hopes the Half Moon can stay in New York. The Times Union reports: "Though many people have raised the possibility of a full-time home for the ship, nothing has happened, he said. 'The community has a very strong interest and when we traveled, for example, to any of these communities, there's always a very high visibility. . . . It brings people down to the waterfront,' said Reynolds." 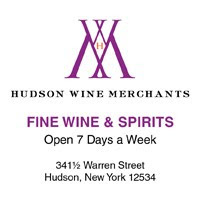 What kind of commitment would it take for Hudson to pursue the vision articulated five years ago and put itself forward seriously as the home port for the Half Moon? Or has this ship really sailed? A week from tomorrow, Tuesday, November 4, is Election Day. The polls are open for fifteen hours on that day, from 6 a.m. until 9 p.m., so there is plenty of time to get to your polling place and vote. If you don't know your polling place, you can find it here. If you cannot be here next Tuesday to vote at the polls, there are other ways to carry out your civic duty. The simplest is over-the-counter voting. Just present yourself at the Board of Elections office at 401 State Street and ask to vote. They will give you a ballot, and you will fill it out right there and return it to them. 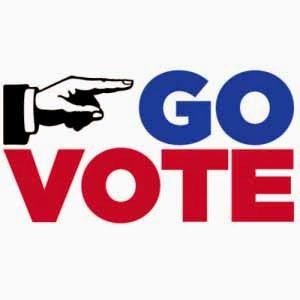 The opportunity for over-the-counter voting is available every day this week from 8 a.m. to 4 p.m.; on Saturday, November 1, from 9 a.m. until noon; and on Monday, November 3, from 8 a.m. to 5 p.m. If you are unable to get to the Board of Elections before Election Day or to the polls on Election Day, you can download an application for an absentee ballot here. Fill it out, authorizing a friend to pick up your ballot, and ask that friend to deliver the application to the Board of Elections for you. (You can also mail the application to the BOE, but it must be postmarked by tomorrow, October 28.) Once you have your ballot and have filled it out, a friend can deliver it back to the Board of Elections for you, or you can mail it. If you mail it, it must be postmarked by November 3. The Board of Elections recommends that you take your ballot to the post office and ask them to hand cancel it. Then check the post mark to be sure it is legible. If the postmark cannot be read, your ballot will not be counted. Lothrop Associates, the architects for the expansion and the addition of a handicapped accessible ramp at the Columbia County Courthouse, announced today that the project has been selected to receive an AIA Westchester Hudson Valley 2014 Design Award Citation for "accessible architecture to an historic building." The courthouse, which has been closed for almost two years during the construction, is expected to reopen next month. A ribbon-cutting ceremony is planned for Friday, November 14, at 2 p.m.
At the Legal Committee meeting in September, there was much discussion about how to deal with late night rowdiness emanating from certain drinking establishments in the city. The topic was on the Legal Committee's agenda again last week, but there was little discussion. Instead the information was shared that the owners of two bars that have been identified as late night trouble spots are expected to attend the Police Committee meeting on Monday, October 27. Their presence at the meeting, together with news of the shooting that took place on the north side of Warren Street between First and Second streets in the small hours of Saturday morning, guarantees that nightlife quality of life will be a major topic at the Police Committee meeting, which begins at 6 p.m. at City Hall. On Saturday, Joan Davidson invited some people to gather on the banks of the Hudson River at Midwood to celebrate the restoration of two century-old icons. 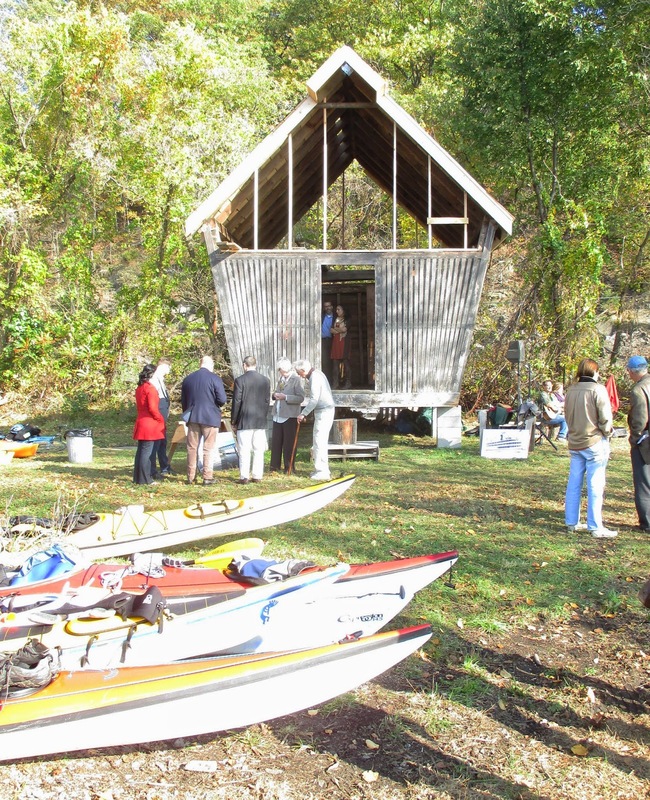 The first icon is an agricultural corn crib that was moved from nearby Southwood to its current location on the river's edge at Midwood and is being re-imagined as a boathouse. 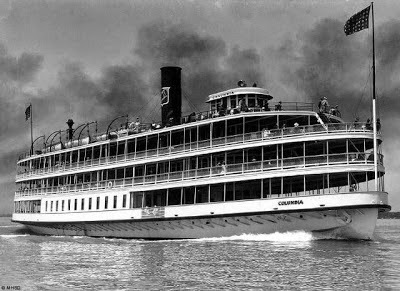 The second icon is the S.S. Columbia, a National Historic Landmark vessel and America's oldest surviving passenger steamer. 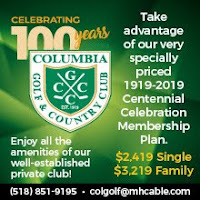 Built in 1902, Columbia is the oldest and grandest of only two surviving examples of the collaboration of two key figures during the Golden Age of Steam: naval architect Frank Kirby and painter/designer Louis O. Keil. Kirby developed an international reputation as an engineering innovator. Keil led a workshop of artists and artisans who worked to make the steamboats palatial and aesthetically pleasing. 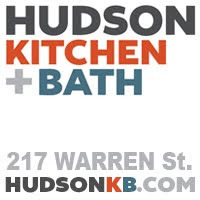 Over thirty years of working together, Kirby and Keil created some of the great Hudson River Day Line steamboats: Hendrick Hudson, Washington Irving, and Robert Fulton. 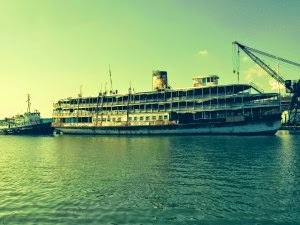 Although the S.S. Columbia originally sailed on the Great Lakes, it has a connection to the Hudson River, and the plan is to bring Columbia to New York to be fully restored and put into service on the Hudson River, carrying passengers from New York City to communities along the river. 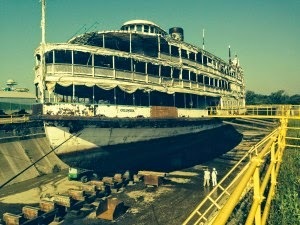 On September 18, Columbia was moved from the Rouge River in Detroit, where it had been moored for more than a decade, to a shipyard in Toledo, where it is now in dry dock and where work has begun on the hull. 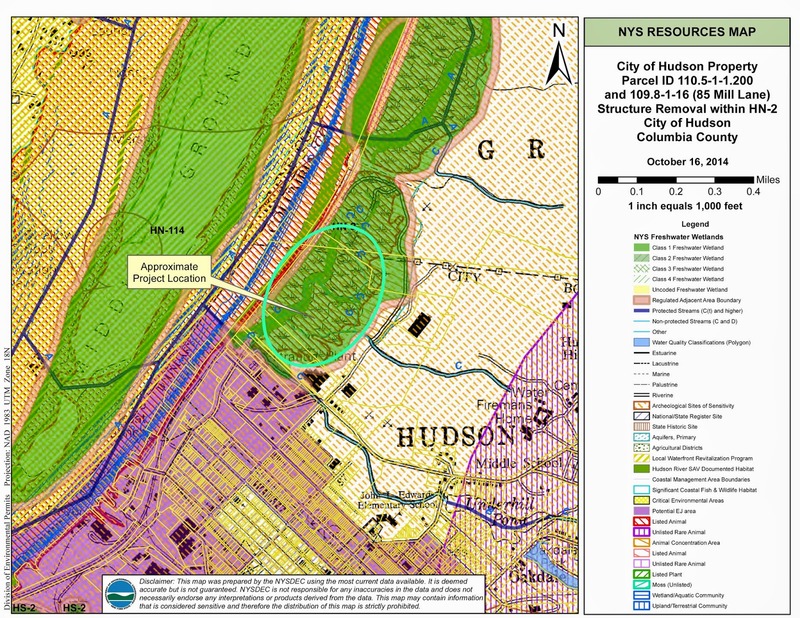 It is anticipated that Columbia will make the journey to New York in August 2015, traveling in tow from the Great Lakes through the St. Lawrence Seaway to the Atlantic Ocean, then down the East Coast to New York Harbor and on up the Hudson River to Kingston, where the restoration will continue. 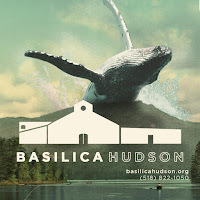 Hudson needs to get ready for the revival of historic water transportation on the Hudson in order not to miss the boat on this important initiative to promote heritage tourism. The photographs of Columbia en route to Toledo and in dry dock are from the blog at www.sscolumbia.org, where you can follow the process of the project. The historic photograph shows the Alexander Hamilton at the Hudson waterfront. Yesterday, the editorial board of the New York Times published its choices in Congressional races for districts in and near New York City. The board's choice for District 19--the Hudson Valley and the Catskills--was Sean Eldridge. 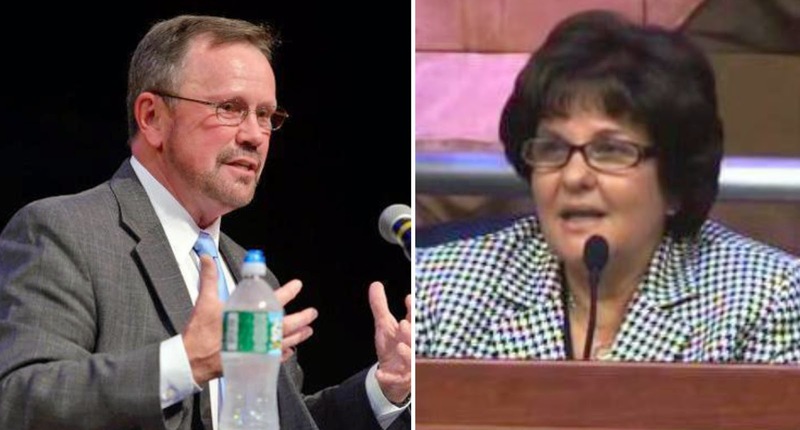 Two weeks ago, incumbent state senator Kathy Marchione abruptedly withdrew from a debate to be held the next evening in Saratoga Springs because, she explained, it was "too far of a drive." On Tuesday, October 28--just one week before the election--there is another debate, a League of Women Voters Candidate Forum, scheduled to take place at the Brunswick Community Center on Keyes Lane in Brunswick, New York. The event, which brings together Marchione and challenger Brian Howard, begins at 7 p.m.
Today, Gossips received, from Branda Maholtz at HDC, the results of the Seventh Street Park Survey. The full report can be reviewed here, but this post will provide the highlights. A total of 414 people participated in the survey, and the results seem overwhelmingly to support the idea of restoring the historic park instead of pursuing the proposed new concept. 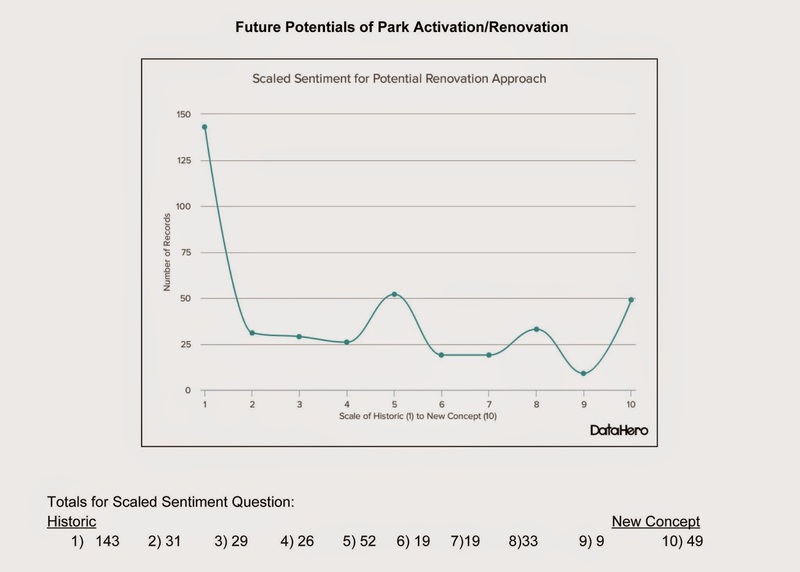 In response to the survey item reproduced below, which asked people to indicate on a scale of 1 to 10 what they would like to see done with the park, 143 people opted for 1: "Historic Restoration of the Park." 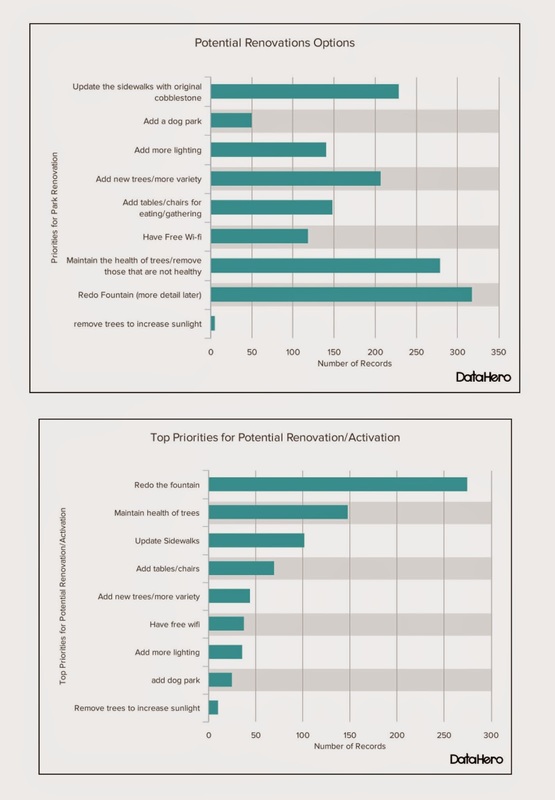 The responses to questions about specific renovations people would like to see yielded these priorities: 1. Redo the fountain; 2. Maintain health of trees; 3. Update sidewalks. 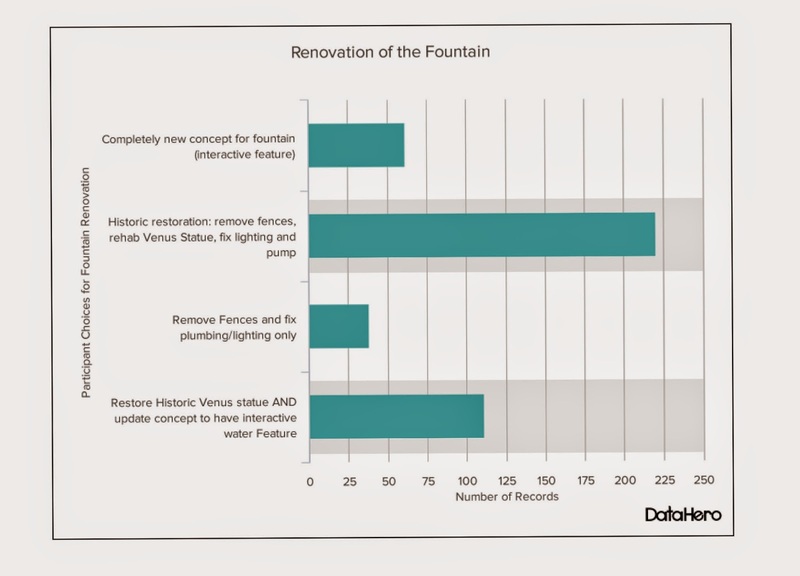 When asked the nature of the "redo" of the fountain people wanted, the responses were overwhelmingly in favor of a historic restoration of the fountain, to bring it back to what it originally was. Word on whether or not the City will receive the $350,000 grant for Seventh Street Park is not expected until November. 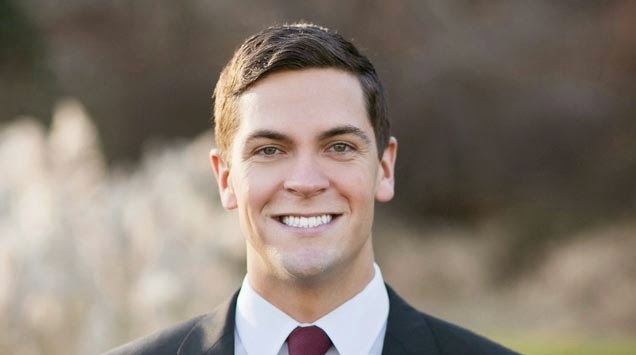 This Sunday, October 26, from 4 to 6 p.m., Sean Eldridge, Democratic candidate for Congress in the 19th District, will be in Hudson for a meet and greet in the North Hall at Basilica Hudson. On November 4, there will be three propositions on the ballot. In an editorial in Columbia Paper, Parry Teasdale discusses the propositions and recommends how his readers should vote. Proposition 1 would amend the New York State constitution to reform the way redistricting is done. Teasdale recommends a no vote, dismissing the proposed reform as "an illusion not a solution." An editorial in the Buffalo News, while calling the proposed amendment "deceptive and insufficient," notes that the amendment will "make the process open to public influence" and judges it "a chance worth taking." Proposition 2 is a no-brainer. It would allow the electronic distribution of bills to members of the state legislature instead of having them printed out on paper and laid on their desks. Proposition 3, called the Smart Schools Bond Act of 2014, seems like a no-brainer, too. Who wouldn't want the state to borrow $2 billion to make our public schools smart? 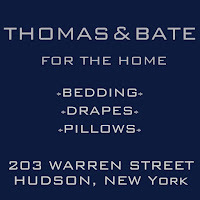 Acknowledging that any equipment purchased with this bond will probably be obsolete before the bond is paid off, Teasdale still concludes it's "a proposition worth voting for." An opposing view is offered by the Empire Center. The conservative think tank calls the Smart Schools Bond Act "New York's school-bond boondoggle," notes that the language of the proposition is "laced with marketing spin," and warns: "Passage of this bond proposition would push the state government closer to its statutory debt ceiling--even as Albany struggles to fill funding gaps in long-term capital plans for basic infrastructure like mass transit, roads and bridges." Read, decide for yourself, and don't overlook the propositions on November 4. 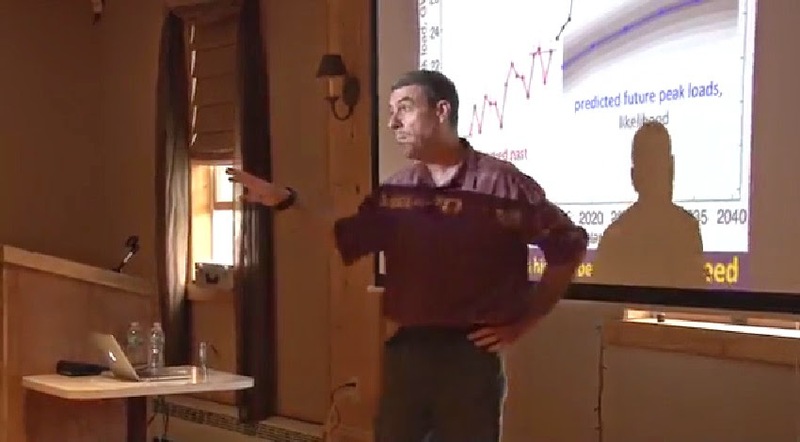 Last Saturday, Dr. Gidon Eshel, geophysicist and research professor at Bard College, presented the conclusions of his study of the need for increased electrical transmission through the Hudson Valley. Those conclusions: The need, which has been assumed, does not exist. Gossips reported what was said in the presentation, but the summary didn't completely capture the energy of being there. Eshel is a very inspiring lecturer. If you missed the meeting last Saturday, you have another chance to hear Eshel's presentation in person next Saturday, November 1, at 2 p.m. at the Bertelsmann Center at Bard College. If your busy weekend plans don't allow you to attend that meeting either, you can watch Dan Udell's video coverage of last Saturday's presentation at the Churchtown Firehouse here. At Tuesday's Common Council meeting, it was decided that two initiatives would be put on hold for a while. The first was the "Resolution Authorizing the Removal and Cleanup of Structures from City Premises Located Along the Shoreline of North Bay." 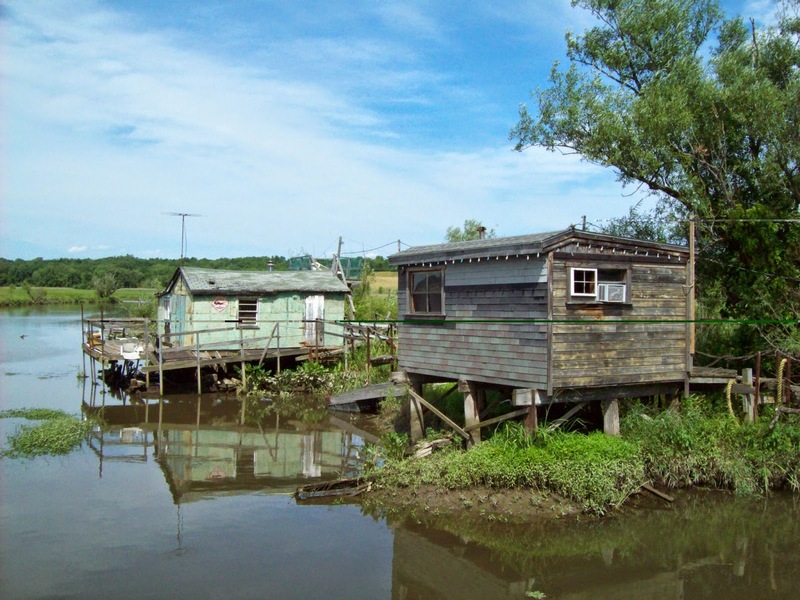 The resolution to raze the fishing shacks that were the Furgary Boat Club had been introduced at the informal meeting, and it was expected the Council would vote on it at the regular meeting. Before calling for a vote, Council president Don Moore announced a plan for a "small working group," made up of himself, the mayor, and aldermen Nick Haddad (First Ward) and Bart Delaney (Fifth Ward), to "take the next 60 days to investigate what might be done down there." From the audience, Quintin Cross objected to the makeup of the working group. He pointed out that the site in question was in the Second Ward but no Second Ward aldermen were included in the working group. So Second Ward aldermen Abdus Miah and Tiffany Garriga were added to group. 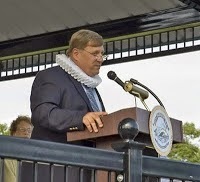 Alderman David Marston (First Ward) pointed out that the site of the Furgary was part of a state-designated fresh water wetland. He told his colleagues that a representative from the Office of Parks, Recreation and Historic Preservation was scheduled to pay a visit to the site on Friday--tomorrow. He moved that the resolution be tabled until a historic resources study could be done. Although the mayor wanted the resolution to go forward with the possibility of recommendations from the working group and the state noted, the motion to table the resolution passed with only Alderman Robert Donahue (Fifth Ward), clearly eager to do the mayor's bidding, voting no. Promenade Hill also got a pass on Tuesday. The plan, being pushed for by Garriga and Miah, to install a temporary ramp at Promenade Hill has been postponed while a plan to apply for a grant to do a major restoration of Promenade Hill, including a redesign of the entrance to introduce handicapped access, is pursued. 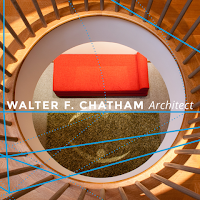 The grant application is due in the spring of 2015, and the grant awards are expected to be announced the following fall. To make sure the ramp happens if the grant application is not successful, $20,000 will be written into the 2015 budget for the ramp. 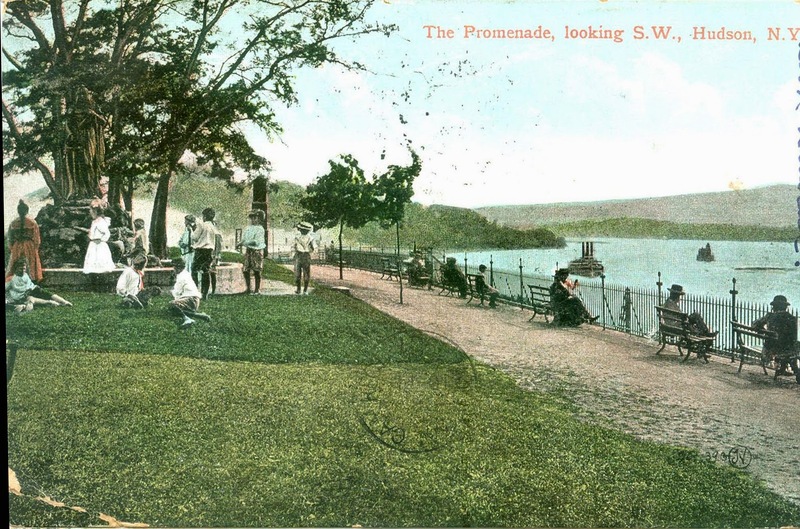 The original plan was to seek a grant for Promenade Hill this year, at the same time the City sought a grant for Seventh Street Park. 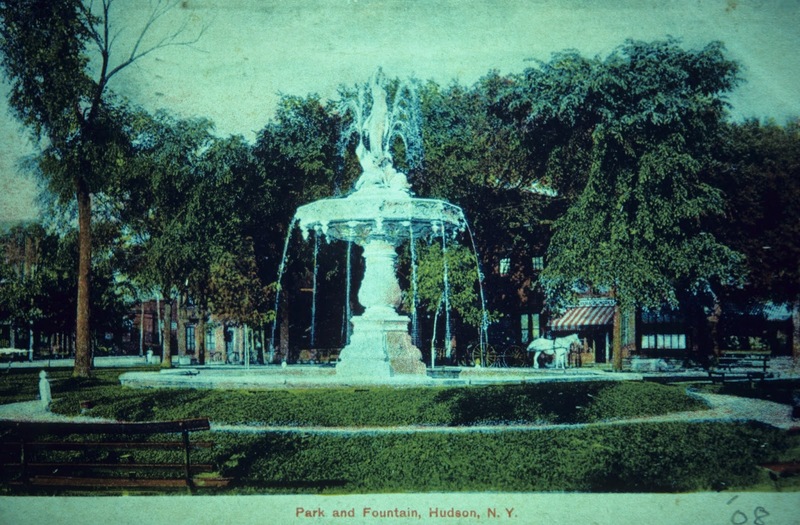 The grant for Seventh Street Park was in the category of Parks; the grant for Promenade Hill was to be in the category of Historic Preservation. The grant application for Seventh Street Park was submitted, and we are still waiting to hear if it was successful. (We are also awaiting the results of a survey done, after the grant application was submitted, to find out what the people actually want to see happen with Seventh Street Park.) The application for Promenade Hill was postponed because it was decided that creating an appropriate proposal for restoring a historic landscape would take more time. 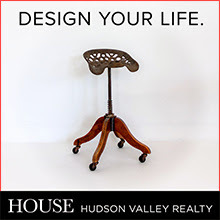 As it did for Seventh Street Park, the Hudson Development Corporation (HDC) has accepted the pro bono services of a landscape architect to prepare a design for Promenade Hill. Like Catherine Dwyre, who worked pro bono to create the controversial "re-imagining" of Seventh Street Park, Dragana Zoric, who is working on Promenade Hill, is affiliated with Pratt Institute. Zoric in an adjunct associate professor; Dwyre is a visiting associate professor. Zoric has some experience with riverfront parks. 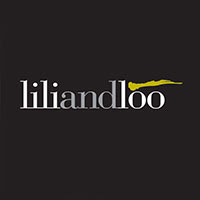 In 2011, she worked on the design for the rebuilding of Riverfront Park in Troy. 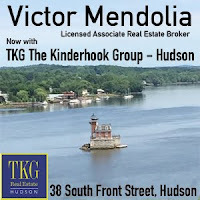 Bill Roehr, who works for TGW Consultants, retained by the City of Hudson and HDC to pursue and administer grants, is also employed as a grants writer by the Department of Planning & Economic Development for the City of Troy. Zoric visited Promenade Hill in May, and Gossips was invited to join her and members of HDC staff on a tour of the historic park. Since May, there has been no word on her progress except Roehr's report in June that the grant application for Promenade Hill was being postponed for a year. One of the reasons given for the postponement--besides the obvious one that a month is hardly enough time to understand the park as a historic resource and conceptualize an appropriate new design for the entrance--was that there was not adequate time for public participation. That being the case, let's hope there is opportunity for public participation in the development of the plan for Promenade Hill and the community is not presented with a controversial design for the first time on a Friday night just two (weekend) days before the application has to be submitted, as was the case with Seventh Street Park. 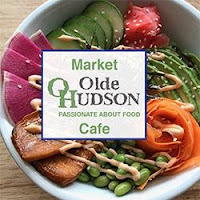 Today at 1 p.m., on WAMC, Alan Chartock talks about the transmission upgrades proposed for the Hudson Valley with Ned Sullivan, president of Scenic Hudson; Daniel Mackay, director of public policy for the Preservation League of New York State; and Ian Solomon from Farmers and Families for Claverack. 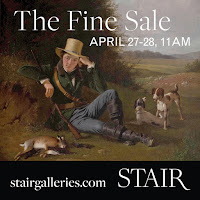 If you miss it--or just can't wait for an hour to hear it--you can listen online right now. Yesterday, the Eldridge campaign announced that Sean Eldridge had cut Chris Gibson's lead in half. A recent poll gives Gibson 46 percent of the vote and Eldridge 36 percent, with 18 percent of the voters still undecided. Tonight a final debate between the two candidates takes place on TWC News. The debate will be aired at 7 p.m. and again at 10 p.m. and can be viewed online. During the late night of September 30 and the early morning of October 1, there was a fire on the 200 block of Allen Street. 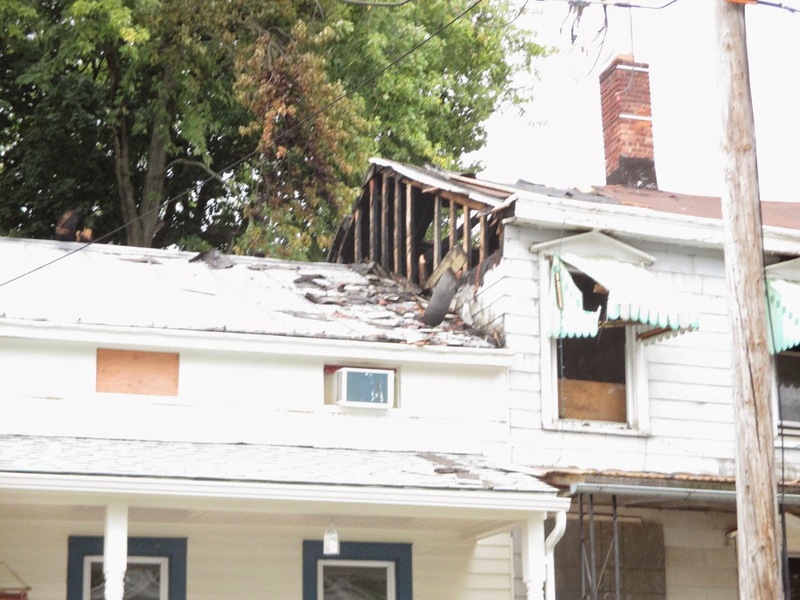 The fire started in 238 Allen Street, a house owned by the Galvan Initiatives Foundation and kept vacant since 2011, and spread through a shared wall into 236 Allen Street. It wasn't until the smoke detectors in 236 Allen went off that a neighbor was alerted and called 911 to summon the fire department. The house to which the fire spread belongs to Michael Molinski, of Photographic Solutions. 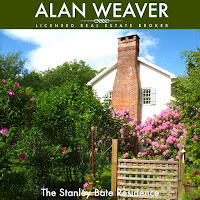 He had renovated the house and lived there with his wife and their young daughter until late this summer when they moved to their dream house somewhere out in the country. They planned to keep the house on Allen Street as income property and had a tenant all ready to move in when the fire happened. 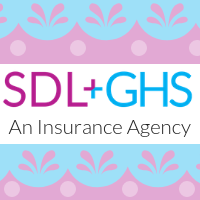 Molinski shares his story of the fire and the aftermath on his blog, and, with his permission, Gossips shares the link to that post: "The good news, the bad news, and the worst insurance nightmare." Although the topic wasn't on the agenda and Council president Don Moore clearly did not want to discuss it, calling the new information provided by Victor Mendolia and Stephen Dunn "allegations not facts," the questions of the boundary between the Fourth and Fifth wards and in which ward the population of Crosswinds had been counted in determining the weighted vote were discussed at last night's Common Council meeting. John Mason has a competent account of what transpired in today's Register-Star: "City's ward system comes under fire." The question of the ward boundary boils down to this. The language in Chapter 1-4 of the city charter, which describes the ward boundaries, defines the boundary between the Fourth Ward and the Fifth Ward in this way: "[From the center line of Warren street] to the center line of Fifth Street, thence northerly along the center line of Fifth Street and a projection of said center line of Fifth Street to the northerly bounds of the City. . . . All that part of the City lying within the lines beginning at a point where a northerly extension of Fifth Street intersects the northerly bounds of the City [is the Fifth Ward]." The black line on the ward map below, which marks the ward boundaries with red dotted lines, shows the projection north of Fifth Street. The description of the boundary in the charter probably goes back to 1886 when the Fifth Ward was created. It is not known, at least not by Gossips, if Harry Howard Avenue, which now appears on the ward map to be the eastern boundary of the Fourth Ward, existed in 1886 when the original ward boundaries were drawn, but a newspaper account of the laying of the cornerstone for the Firemen's Home in 1892 makes reference to Harry Howard Avenue, so we know it existed in 1892. It is not clear when and how Harry Howard Avenue became the boundary between the Fourth and Fifth wards. It is also not clear why, unlike every other ward boundary in the city where the center line of the street is the boundary and one side of the street is one ward and the other side is another, both sides of Harry Howard Avenue, from Carroll Street to Paddock Place, are considered part of the Fourth Ward. Apparently, it has been this way for decades, but a change in the ward boundary descriptions was never made in the charter. And then there's the question of the two hundred or so residents of Crosswinds. Where did they get counted in the 2010 census? There is some reason to believe that in allocating population to the wards, the ward map published by the Board of Elections, part of which appears above, was used. If that's what happened, the population of Crosswinds would likely have be attributed to the Fifth Ward since on that map Harry Howard Avenue is indicated as the ward boundary. There is other reason to believe this may have happened. If, in 2010, there is an apartment complex in the Fourth Ward, housing some two hundred people, which didn't exist in 2000, the logical expectation is that the Fourth Ward would have gained population between 2000 and 2o1o and the strength of the weighted votes of the ward's representatives would increase. Instead, the Fourth Ward, like every other ward in the city except the Fifth Ward, lost population, and the aldermen who represent the Fourth Ward still cast votes that carry the least weight of any on the Council, with the exception of the First Ward. At last night's Common Council meeting, Rick Scalera, supervisor for the Fifth Ward, said he would love to have the residents of Crosswinds vote in the Fifth Ward. Alderman Bart Delaney (Fifth Ward) echoed the sentiment: "Alderman Donahue and I would love to welcome the people from Crosswinds to the Fifth Ward." But the question remains whether or not the weighted vote of those three elected officials has been strengthened by having the population of Crosswinds counted in the Fifth Ward instead of the Fourth Ward--the ward in which the residents actually vote. An Elemental Flaw in the Weighted Vote?